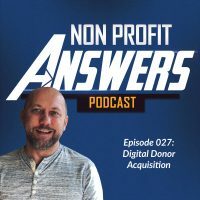 In this episode of Nonprofit Answers, you will learn how to write a great fundraising appeal. Though there isn’t a perfect formula for a charity fundraising appeal, Jeremy walks through a proven formula that will get you results. Writing great fundraising direct marketing is part science and part art, but with this step by step process, you’ll be writing fundraising letters that will raise more money for your organization.